Obituary for Arnetta Mary (Waters) Parker | Jolley Memorial Chapel, P. A.
Arnetta M. (Net) Parker, 67 died Tuesday, April 17, 2018 in Salisbury, MD. Born in Marion, she was the daughter of the late Ottaway and Lucy (Waters) Milbourne. She was a graduate of the former Carter G. Woodson High School in Crisfield. Upon graduation, she matriculated at the former Maryland State College, now the University of Maryland, Eastern Shore in Princess Anne, MD, receiving a B.S. degree in social work. She was formerly employed with the Somerset County Shore-Up, Inc. Headstart Program, Eastern Correctional Institute (Corrections Officer), Pocomoke Family Services (counselor), Diakonia, Inc. in Berlin, MD and Worcester Youth and Family Services, retiring in 2016. She was a member of the former Waters Chapel Methodist Church in Kingston, MD. 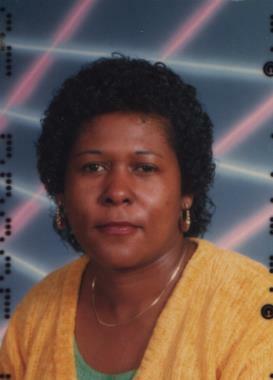 Her survivors include one son: Otto (Cheryl) Milbourne; two grandsons: D’Angelo and Maurice, of Suffolk, VA; six siblings: Ottaway, Jr. (Ernestine), Ranford (Gladys), Randolph (Carol), Gloria and Ronald (Laura) Milbourne and Elder Victoria Williams; a devoted friend who was like her daughter, Debbie Dotson; special friends: Diane, Theresa and Donna and a host of nieces, nephews and other relatives. A funeral service will be held 11:00 a.m., Friday, April 27, 2018 at New Dimensions Ministry, 1907 Jersey Road, Salisbury, MD where friends may view one hour prior to service. Interment will be in Parsons Cemetery in Salisbury, MD.